Takeshi Yasuda (born 1943 ) is a creatively restless potter who has never settled into a stylistic routine, but has long been committed to the lively art of function, and is one of the most ambitious artists to use porcelain as a medium for everyday pottery. Whether thrown or press-moulded, Yasuda has consistently expanded, literally and metaphorically, porcelain’s varied qualities of elasticity and precision, fluidity and crispness. He trained in Mashiko, Japan in the 1960s, where he established his first studio. In 1973 he settled in the UK, where he initially worked in ash-glazed stoneware. 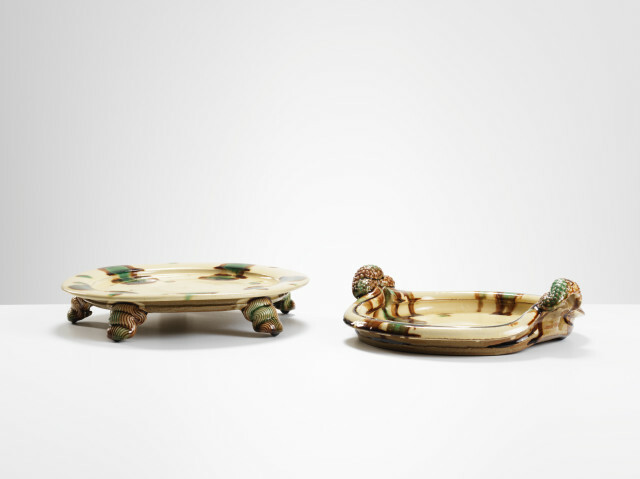 Then he moved on to ‘Sansai’ work and creamware before developing the same fluid generosity in celadon porcelain. Yasuda’s recently introduced press-moulded table range shows just how good and succinct a designer he is, but he is also capable of more baroque forms of expression. He is a difficult potter to pigeon-hole which is, I imagine, just how he likes it. Yasuda lives in Bath, but works for much of the year in China.